Vitex is one of the best herbs for balancing hormones and relieving symptoms of PMS, infertility, and pre- or peri-menopause. Vitex is most helpful to menopausal women who are still cycling. Although studies point to this, our herbalist Pam (as well as other clients) have reported that Vitex has worked better for them than other herbs for menopause in relieving hot flashes and other menopausal complaints. Vitex works on the pituitary gland, which is responsible for signaling the body to make certain amounts of each hormone, therefore, it helps to bring balance at the core of the issue. This is why this herb is so successful at balancing female hormones regardless of which way a woman is out of balance. Pregnancy and miscarriage prevention: Vitex is not recommended for use during pregnancy, simply so that the pregnancy hormones can do what they need to do naturally. For women who tend to chronically miscarry or who have had a history of miscarriage, however, Vitex is safe and is recommended for use through the first trimester to help support hormonal balance, thus possibly helping to prevent further miscarriages. Once the first trimester is over, the placenta is well-formed and has taken over the job of hormone production and management. Vitex can now be discontinued. Drug contraindications: Do not use Vitex in conjunction with the birth control pill or hormone replacement therapy (HRT). It may render each less effective and may result in pregnancy. The 200ct bottle of capsules will last for 7 weeks, and the 400ct bottle will last 3 months. 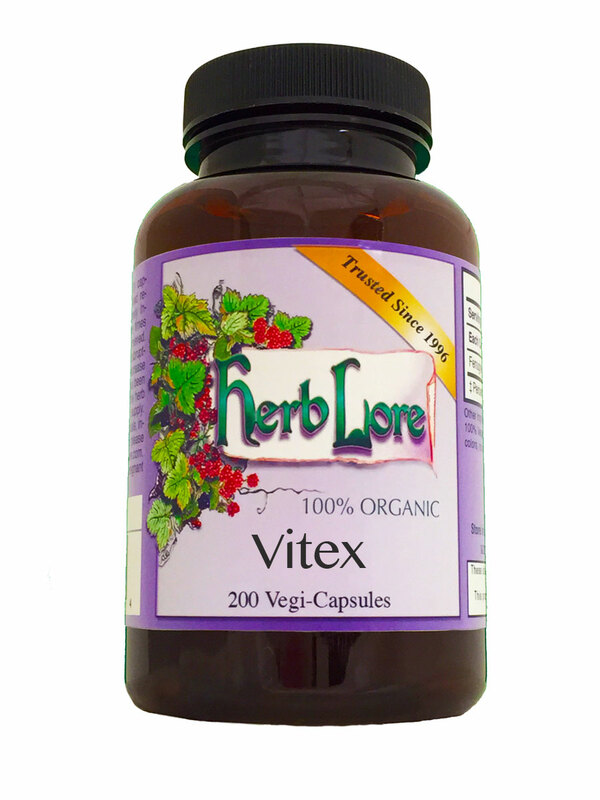 Vitex is also available in a liquid extract (tincture) form.